The addition of 14% Cabernet Franc gives this medium-bodied wine a lovely savoury, slightly tannic bite, a nice contrast to the ripe blackcurrant fruits. Perfect with your steak, or any other grilled red meat. Susana Balbo is one of the leading winemakers of Argentina. 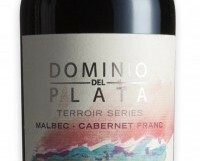 For this wine she used grapes grown in Tupungato, part of the cooler Uco Valley south of Mendoza. The wines tend to be a little more perfumed and elegant.